If you’ve followed CheeseWeb for a while, you know our fondness for road-trips and mystery drives (one of the key reasons we bought a motorhome). We’ve been known to drive to Amsterdam for dinner (Mexican, of course) or to the south of France for a weekend. Of course, we also spent plenty of weekends exploring the smallest, most obscure roads in Belgium, doing our best to get lost. Canada is also an excellent road-trip destination. 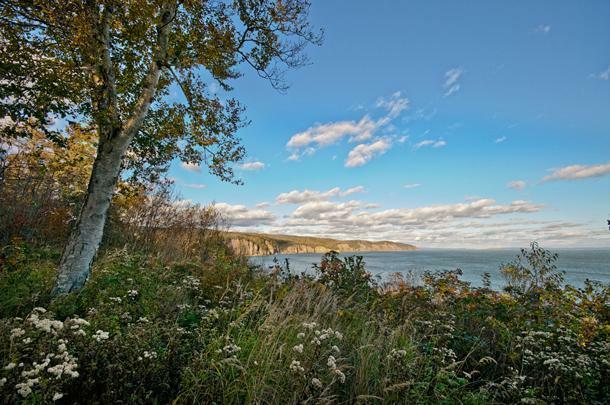 We’ve spent many weekends exploring the back corners of the Maritime Provinces (Nova Scotia, New Brunswick, and Prince Edward Island) and made driving trips through parts of Quebec and Ontario. The traffic, especially on the east coast, is relatively light compared to Europe, the distances are long, and the scenery is expansive. In many places you can drive for miles (kilometres) with only trees for company. This gives you time to talk, listen to music, or just watch the world go by. 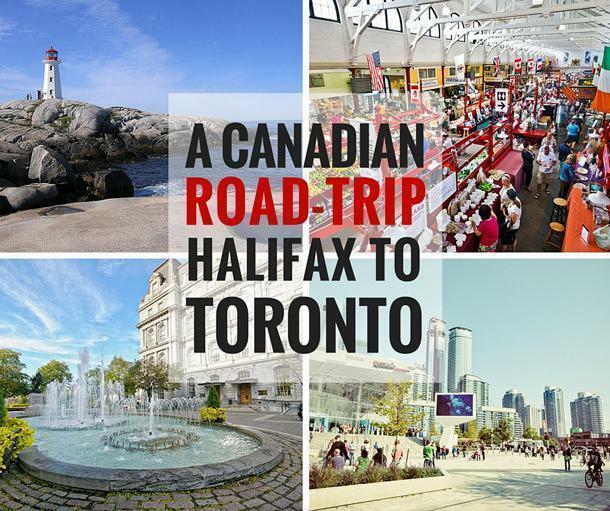 So to inspire your own Canadian road-trip, here are 5 cities to visit from Halifax to Toronto. The drive between these two cities would take about 20hrs but it is more fun to plan some stops along the way and make it an adventure. So, to make the drive more interesting, I broke the travel up into chunks, using cities along the way as places worth stopping. Let’s hit the road! 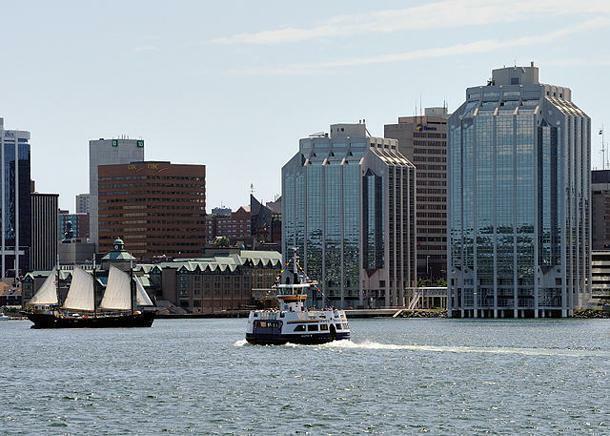 Halifax is the biggest city on the east coast of Canada and best known for its deep water port, five universities, and an easy going lifestyle. I grew up outside of Halifax and I met Alison there, way back in our first year of university. How time flies! Throughout history, Halifax was a key to the British hold on North America, primarily because the port was ice-free in the winter. 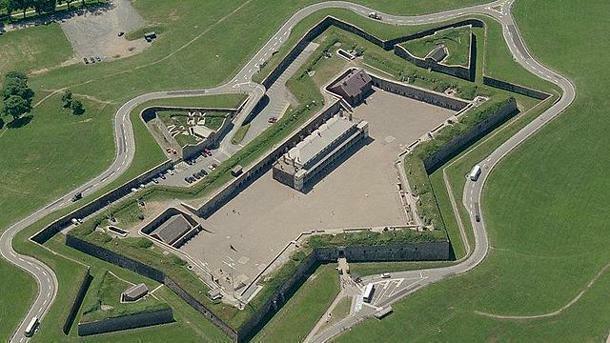 Today, the reach of the British Empire can still be felt by visiting the Citadel National Historic Site. Situated on the highest point in the city, the Citadel is a stone fort built by the British to defend the city from attack. From May through September, students recreate life in the 1870s when the 78th Highland Regiment of Foot (78th Highlanders) garrisoned the fort. During the day, these students reenact marching drills, rifle firings, and life in the fort. Each day is also punctuated by the firing of the noon gun, a 12-pounder smooth bore gun mounted on the wall facing the harbour. I may be a bit biased, as one of the former soldiers, but it is a fascinating look at life in a fort during the late 19th century. After visiting the fort, take a walk down to the waterfront and stroll along the boardwalk. During the summer, there are often a variety of sailing and cruising ships, birthed along the boardwalk, making for some great photos. 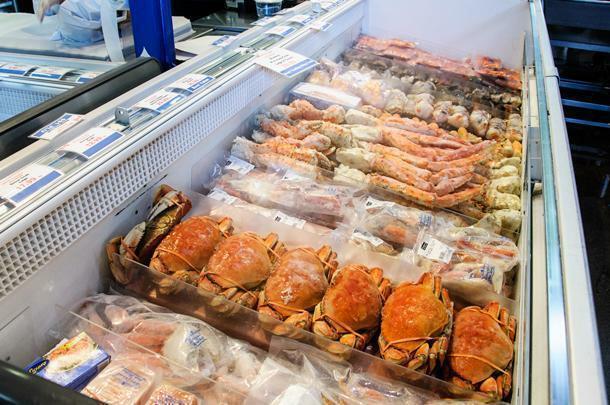 While you are there, head to one of the many restaurants for a taste of east coast seafood. I highly recommend you try the lobster! 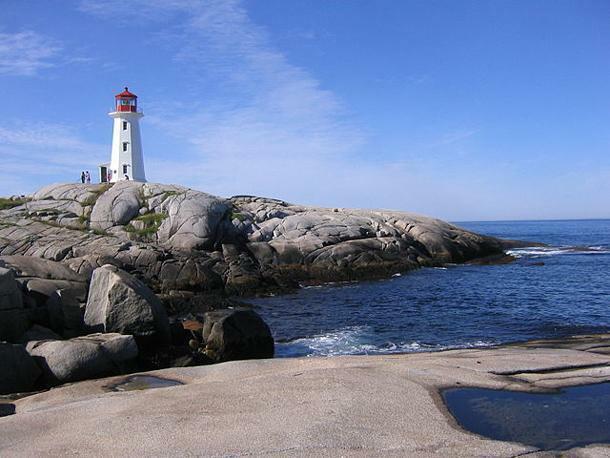 If you are adventurous, take a morning or afternoon drive out to Peggy’s Cove, walk on the rocks, and photograph Nova Scotia’s most famous lighthouse. The landscape in the area is very barren and unusual. You’ll also be very close to where I grew up! Alison’s hometown of Saint John is the oldest incorporated city in North America (1785) and is the second largest city on the East Coast. 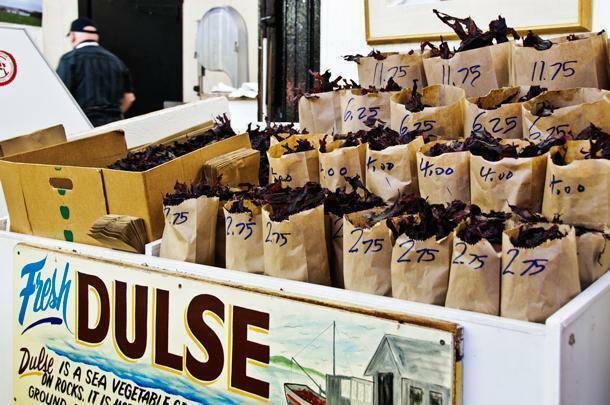 Fredericton may be the province’s capital, but Saint John is where the cool kids come from. (Disclaimer: Alison paid me to say this.) Saint John is also home to the Reversing Falls, a natural phenomenon where the ocean’s tidal power pushes the St. John River back up a narrow gorge for a couple hours, during each high tide. At low tide, the gorge becomes a blur of rushing whitewater rapids, so it is quite astonishing to see the river appear to reverse course. 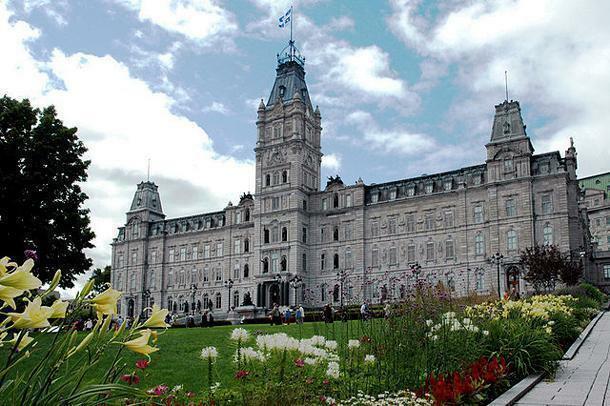 Quebec City is one of the most European cities, I know, in North America. Wandering through the Old Town of Quebec, you might think you’re in France. I’ve always loved the feel of Quebec City and do suggest you take a couple days to soak it in. Go to a cafe, buy a coffee, sit down, and watch the world go by. Exactly what you should do in just about any French city! If you want to be more active, I suggest exploring the 4.6km of city walls around the old city. North America’s only remaining fortified town, Quebec City’s walls provide you with great views over the city and the river. Visiting in the winter? 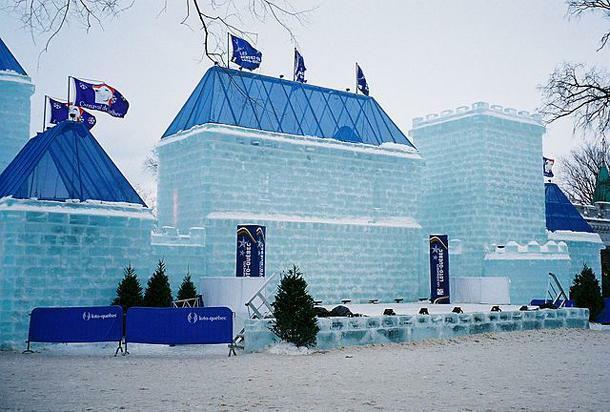 Quebec City has you covered with the world’s biggest winter carnival and the only Ice Hotel in North America. If you like a winter wonderland, then a visit to Quebec City is a must. 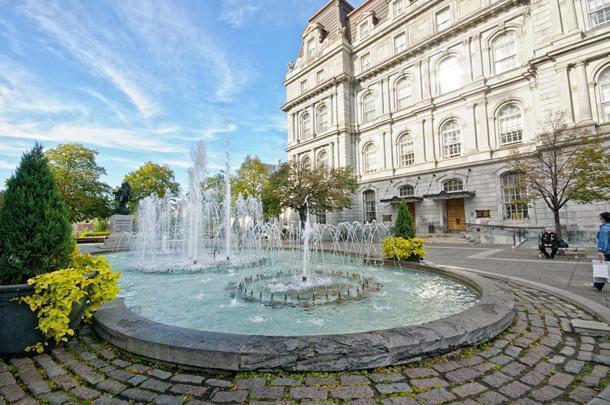 Old Montreal is a beautiful place to explore on foot. 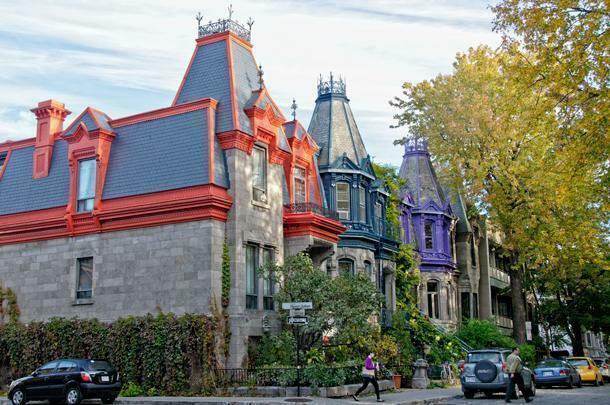 A few hours down the road from Quebec City, Montreal is a more modern and multicultural metropolis. I remember visiting Montreal numerous times as a kid, watching the Expos (a baseball team) and the Canadiens (a hockey team) play, exploring numerous museums, and watching Phantom of the Opera. During a much more recent visit, we discovered Montreal is a foodie city, complete with food trucks. 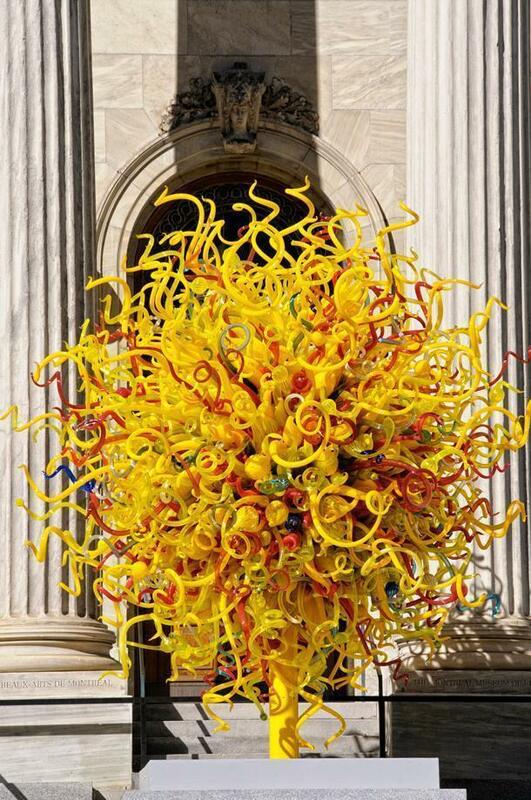 For a visit today, I suggest a morning exploring Montreal’s Museum of Fine Arts where Dale Chihuly’s ‘Sun’, recently purchased by the museum, is on display. Afterwards, wander over to the food trucks for a bite to eat. When we were visiting, we decided to each buy something different and then share. It was a great way to experience the various food options. 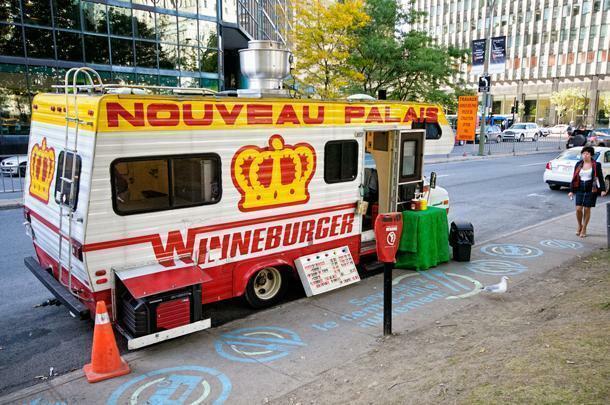 Don’t miss Montreal’s food trucks! In the afternoon, wander down to the river and walk through the Old Town area. The Old Town hasn’t changed much, over the centuries, and still features cobblestone streets, horse carriages, and the Bonsecours Market. Grab a coffee at one of the cafes and simply enjoy life in the city. In the evening, take the metro up to the ‘Plateau’ for dinner. The Plateau features numerous food options: poutine, pork, vegetarian, oriental, it doesn’t matter, it is all there. I had heard about Au Pied de Cochon, so we reserved a spot there. I highly recommend their Foie Gras Poutine… if you’re going to have a heart attack, you may as well go out with a bang! 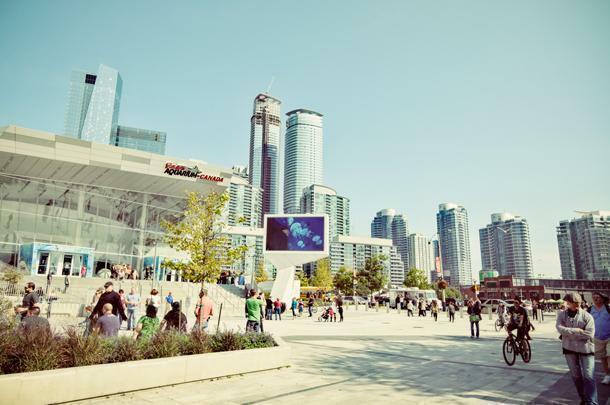 Canada’s biggest city, Toronto has something for everyone. Toronto is Canada’s biggest city and one we have only recently discovered. Toronto is a 19 hour drive from Halifax, so it wasn’t an easy one to add to our own road-trip itineraries. However, we were remiss. Toronto has a diverse, multicultural feel, thanks to tens of thousands of immigrants living there. We believe, to understand a place, you must first eat their food. 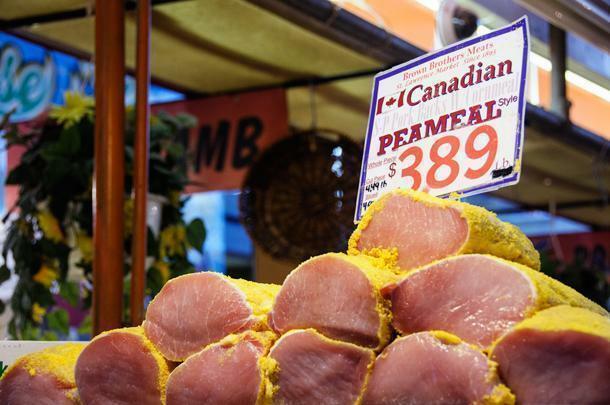 Toronto is no different and the St. Lawrence Market is the best place to sample Toronto’s food. 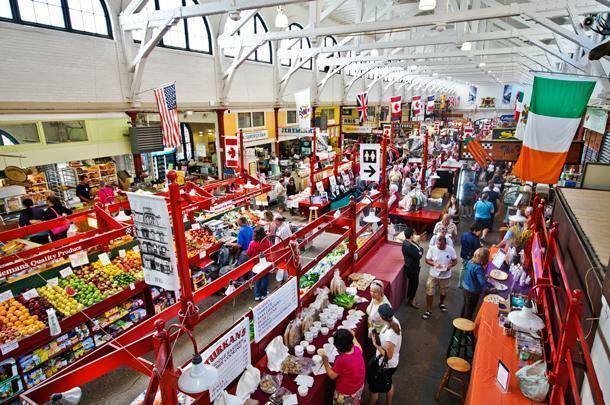 With 120 vendors offering products ranging from fresh fruit and vegetables to seafood and coffee, this market has it all. Browse the stalls and grab a bite to eat to enjoy on the terrace just outside. Although it is the touristy thing to do, a visit to the top of the CN Tower is a great way to see the whole city. Alternatively, make a visit to the aquarium with the longest underwater viewing tunnel in North America. Finally, make time to visit Casa Loma and the gardens. Finished in 1914, this chateau in the middle of Toronto is a beautiful place to stroll and also features a vintage car collection in the garage. Something for everybody! 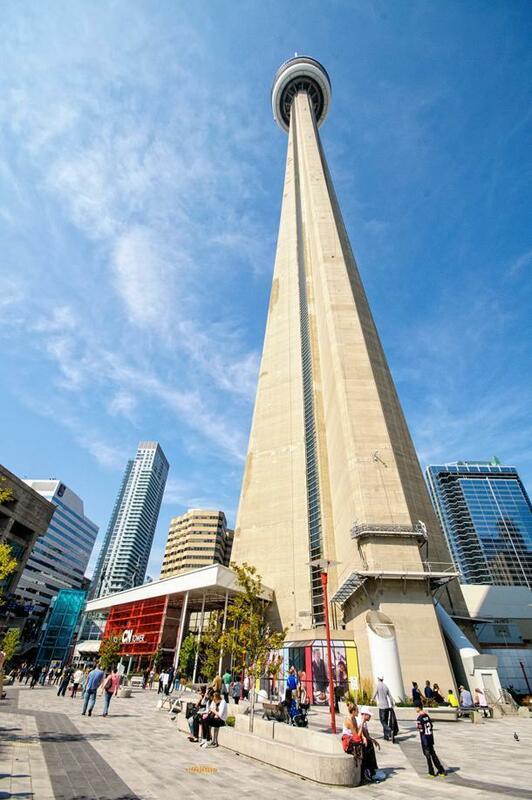 A Canadian icon -Toronto’s CN Tower offers a great view of the city. Of course, you could always reverse the trip and visit Toronto first. Regardless, the drive is scenic and the cities will surprise you. Want to make your own trip? There are various companies offering tailor-made packages, so you can make your Canadian holiday your own. eShores offers some great Multi Centre Canadian itineraries on their site, which will give you some great ideas of the possibilities, however there really are endless options. What is your favourite road-trip? Share your recommendations in the comments below so we can add them to our list! Thanks to our friends at eShores for their help with this article. As with all our articles, all opinions remain my own.